Follow New Mission Gallery on Facebook and Instagram for the latest news. Click logo to open link in new window. Petoskey Stone No. 37, Oil on Canvas, 40 x 54 in. The beautiful frame for this painting was hand crafted using wood from the famed Leland "Champion" Cottonwood tree. 5x7 & 8x10 Archival Prints Now Available. George Bellows "Floating Ice", 1910, Oil on Canvas, 45 x 63 in. Yesterday I had the pleasure of experiencing this masterpiece up close and in person for the first time at the newly opened Whitney Museum of American Art. George Bellows certainly had a way with paint and is easily one of my favorite artists of any medium. Happy Holidays! Give the gift of Art this year! Stop in and see new jewelry from Brooklyn artist Roberta Gorin. Renn Cheadle, Petoskey Stone No. 27, Oil on Canvas, 10 x 8 in. Roberta Gorin (Temerity Jewelry, Brooklyn, NY), Slice Inlay Bangles, Brass w/ Tektite, Lapis, Jet, Malachite. Lee Cheadle, Treescape No. 303 w/ Reclaimed White Oak Stand, Oil on Panel, 6 x 4 in. Ryan Cobourn, Untitled, Mixed Media on Paper, 11 x 15 in. Gary Cheadle, Cello Chair, Figured Maple and Reclaimed Douglas Fir. 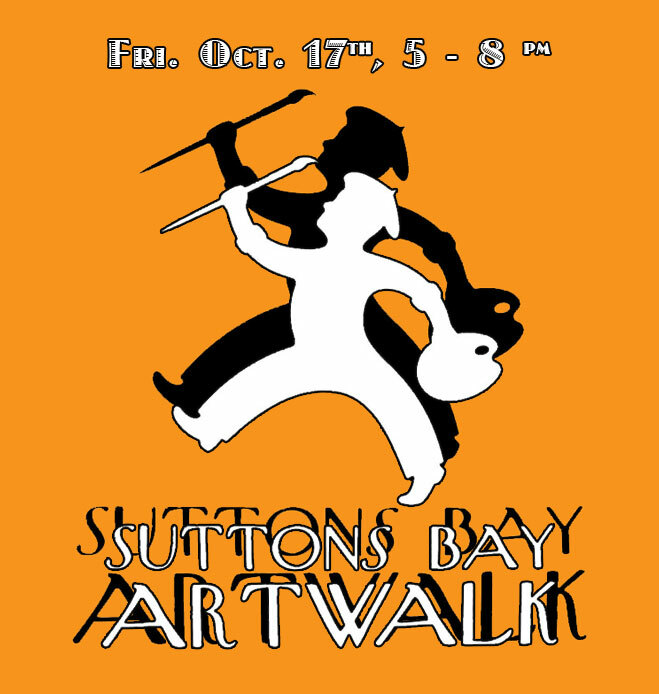 Come out Friday, October 17th, 5 - 8 PM, for the 8th Annual Suttons Bay Art Walk. Many new Oil Sketches available. 8x10 & 11x14 canvases w/ painted wood frames. New Series of Morel Paintings. 10 x 8 in. Oil on Panel. The Village of Suttons Bay will host its Annual Summer Solstice Art Walk Friday June 20th from 5 - 9 PM. New Mission Gallery is pleased to introduce Ryan Cobourn and Roberta Gorin. Ryan Cobourn’s abstract paintings make allusions to figure, landscape, and still life, depending on his mood. Drawing from traditional themes and subjects, the paintings’ content emerges through a protracted process of deconstructing and rebuilding of the image, based on memory and intuition. Ryan Cobourn is represented by Nancy Margolis Gallery in New York; Bryant Street Gallery in Palo Alto, California; Pryor Fine Art in Atlanta, Georgia; and Ann Connelly Fine Art in Louisiana. His work has been shown in small group exhibitions alongside the works of Arthur Dove, Milton Avery, Alex Katz, and Bill Jensen. Ryan Cobourn received his BFA from the University of the Arts in Philadelphia and his MFA from Indiana University. He is currently living and working in Brooklyn, New York. Temerity Jewelry was launched in 2011 by Brooklyn-based designer Roberta Gorin. Her earliest exposure to the world of jewelry came from her grandfather, a fine jeweler working in Manhattan’s diamond district. Her childhood fascination with his craftsmanship and artistry blossomed into a desire to follow the same path. Taking inspiration from mythology, the thrill of exploration and discovery, and tales of heroism and romance, Roberta seeks to share her fascination with our collective histories and our role in their creation. Roberta received a BA in cultural anthropology from Bard College, and is working toward her Master's degree in Decorative Arts, Design History and Material Culture at the Bard Graduate Center in New York City. Focusing on theories of adornment throughout history, her studies continue to inform her work. Every piece is designed and produced in Temerity's Brooklyn studio, using recycled metals and ethically sourced gemstones. For the Trees, Archival Prints, 5x7 in. Reclaimed Wood: White Oak Birdhouse and Black Walnut Test Tube Vase. Petoskey Stone No. 11, Oil on Linen, 12x16 in. Winslow Homer, Sleigh Ride, 1890, oil on canvas, 14 x 20 in. Tom Thomson, Winter Thaw,1917, Oil on Wood, 8 x 10 in. Archival prints now available. 8 x 10 and 5 x 7 in. New Mission Gallery is participating in the 8th annual Fall for Art Tour in Leelanau County, Oct. 11th - 13th!